How to Make an Edible Bird House or Feeder for Your Feathered Friends! In order to make your own edible bird houses, you will need to make edible glue for the birds first!! The video below will show you exactly how to do that. It can get a bit messy to so make sure to cover your work surface and have all your ingredients out a head of time so no sticky fingers are leaving the area looking for supplies. You can get these little wooden bird houses at the dollar store too, or make your own with the kit below the video. Enjoy! 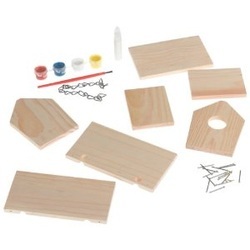 You can purchase basic bird house kits online that are easy to make for yourself or with your kids. Put one of these together, or build your own design, then take peanut butter and basically butter the roof of the bird house, you can also do the walls and entire thing if you want to. Then pour wild bird seed over the areas you buttered with peanut butter. 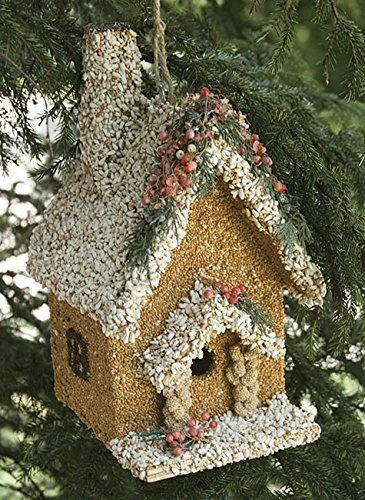 Try and cover all the areas of the buttered wood and then hang it outside from a tree or hook, then watch the birds flock to the edible bird feeder. Gradually you will find a bird ot two checking out the inside for their home. 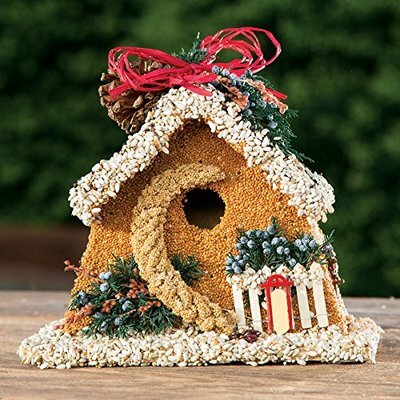 This is a great way to attract birds to any new bird house too! Sometimes when you first put out a brand new bird house, birds are leary of the new wood, so by adding a layer of peanut butter and seeds to even just the roof will get them interested. Eventually they will eat all the seeds and then they will settle in the house. If you prefer not to get into making your own, you can purchase them online too. These also make wonderful gifts for the bird lovers on your list! 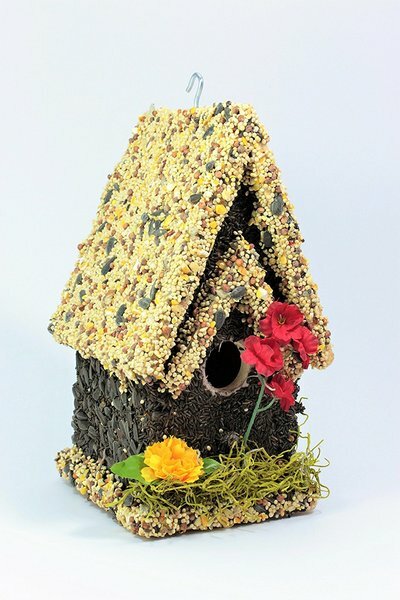 These edible bird houses are online... just click any of the pictures. 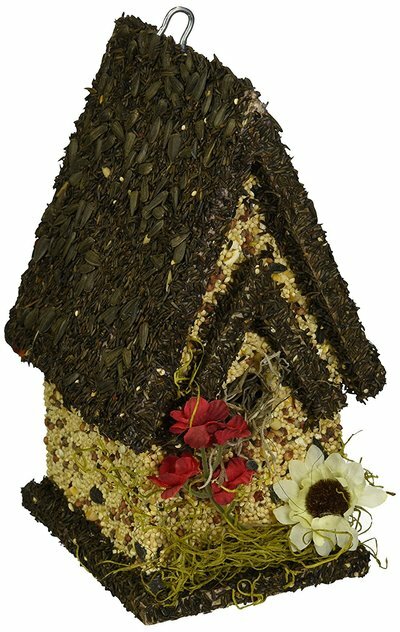 Whether you make your very own bird houses with all the goodies attached or you purchase them online, the birds will love the house. They will get used to eating from it and then living in it.